Healthy children are likely to grow into healthy adults, so laying down good nutritional foundations in childhood can have lifelong benefits. 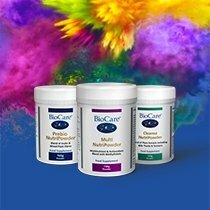 BioCare’s extensive range of high quality nutritional supplements for children covers the key areas that underpin child development from neonatal nutrition, promoting healthy immunity, general nutritional support and specific formulations to support complex needs. Childhood is an important time for developing the immune system that protects us as adults. Children face the continuous and constant challenge of adapting to a complex environment. When combined with genetic factors, busy lives, and poor nutritional status, it is easy to see how immune-related ill health can develop. It is possible to take action to help children fend off the onslaught of germs to which they may be exposed. 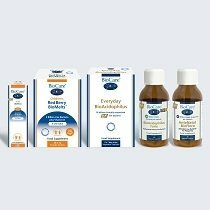 At BioCare® we’ve created a dedicated range of supplements for children, that can help not only boost the immune system, but also contribute towards other vital aspects of good health. 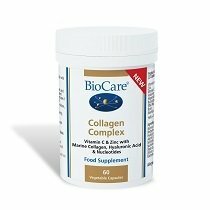 Available in either liquid form or powders, making the supplements convenient and easy to take. Flexible, featuring great flavours that children like which can be easily mixed into foods and drinks. Suitable for all ages, from babies to teenagers, covering their differing needs. Whether you’re looking for probiotics, multinutrient supplements to assist a balanced diet, or a vitamin boost for your kids, you can find everything you need in our Children’s range. Learn more about each product and if you have any questions or require more information, don’t hesitate to get in touch with our friendly team of experts, or check out our Advice section.